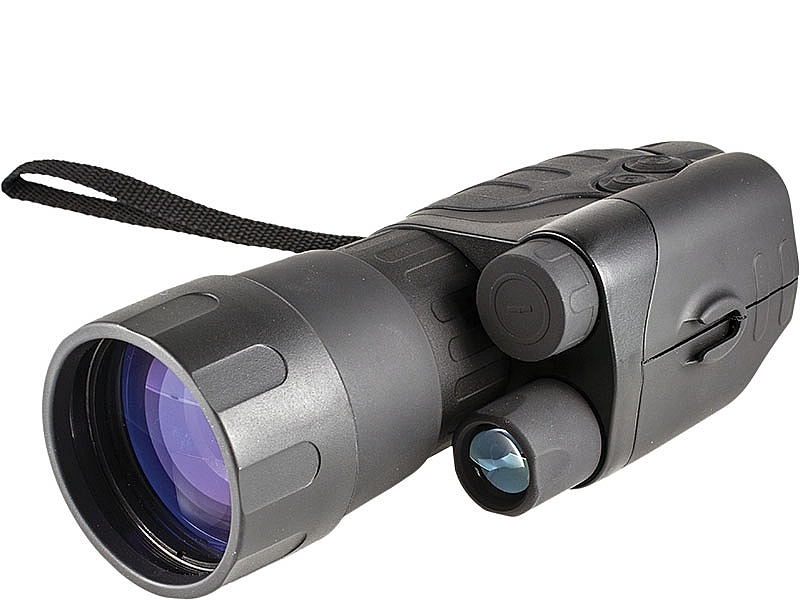 The Yukon NVMT G2+ 3x50 features a Russian EPM66G-2 Gen 2+ Image Intensifier Tube (IIT). It features a tactile, suregrip plastic bodyshell and, for extra protection/grip, partial rubber armouring. The interchangeable 50mm lens offers 3.0x image magnification and a 14.5° field of view. It has a built-in, short-range Infrared (IR) illuminator for use in very low light/total darkness. A green LED next to the viewfinder indicates when the Image Intensifier Tube is switched on while a red LED indicates when the built-in IR illuminator is switched on. NVMT SPARTAN 4X50 The compact and lightweight NVMT Spartan 4x50 offers 4.0x image magnificati..